Another Double CV complaint thread. Now with some demonstrations. But first off the mandatory frustration: Double CV games entire afternoon...This crap has to END. Now to the nuts and bolts. 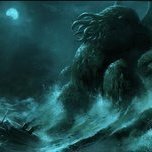 Lots of CV apologists state that CV vs DD balance is fine. I disagree from both ends. Yugumo game on Haven. First off, I waited for the mandatory rocket planes to do their sweep of the team while i hugged a friendly Neptune. Then as the team was blobbing, I went alone because the team was blobbing and it was likely a loss anyway. AA off (obviously) untill detected. 1. first one denied by virtue of aa off + turn in + speedboost making him overshoot. AA was turned on as he detected me and off again as he crossed 2,5 km for next strike. Second CV vs DD situation: Grouped with friendlies (neptune + iowa) and using smoke vs DB from Enterprise. Third CV vs DD situation: Cv apologist argue - smoke up and the CV will go away in search of better targets. Obviously, got attacked as the smoke ended. 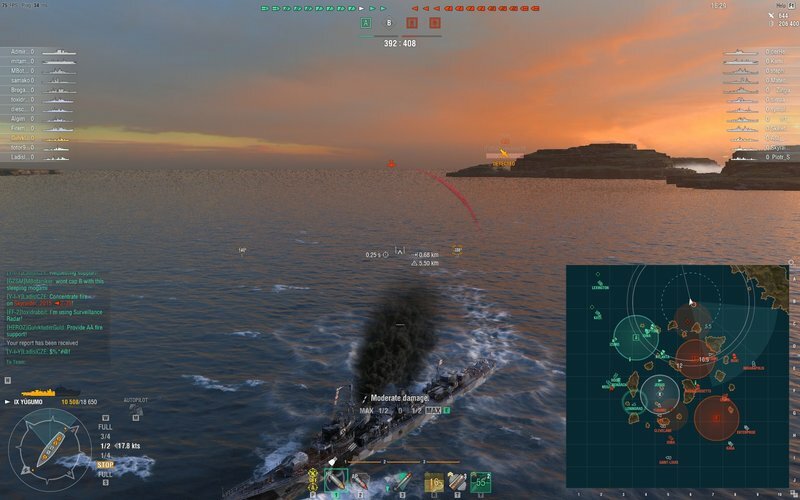 Game ended before i could torp the Massa. Replay uploaded for interested parties. Critique is welcome (going off alone was a calculated risk, not using P in the rocket engagement is to not accidentally leaving it on making it easy for the CV). Wellplayed CVs make it impossible for dds to fulfill their role and Something Must Be Done. CV apologist arguments about how DDs can adapt is pure BS strawman arguments as demonstrated in the 2 last examples (provided the CV is not an idiot). First example demonstrates how Rocket planes are if anything, still overpowered (removing fighter plane consumable would make them less-so). You are out of position in the first picture. You're playing a Yugumo - of course you got tonked by CVs. This speaks to my only real gripe with the CVs; they've made IJN torp boats (and anything else with rubbish AA) largely useless against a half competent CV driver. A lot of DDs are, I would suggest, fine (more or less) with the new CVs - we used to get our posteriors handed to us by the old CVs too; it's just that there were far fewer of them. 'Well played" is the crucial part of that; from what I'm seeing, a DD with adequate AA can still do its job most of the time, it just requires a few tweaks to how you play, many of which (related to spotting especially) we had to do anyway with the plethora of radar ships running around. Of course, if you encounter a unicum CV driver, you're probably dead (or at least, I am), but how does that differ from encountering a unicum in anything else? Situation 1 - You went to the flank with no allies, a risky move when there's 2 CV. Since you hadn't been spotted with the rest of your team it wont take a huge amount of time before one of the CV goes looking for you, and the first place they'll start is near the cap. AA off is fine, it makes it harder to find you. However at some point you must have KNOWN you were about to be spotted, and yet you didnt smoke at all. Instead you let him do all 4 runs on you in the hope he just might not be very good. Its not a particularly good place for you to go anyway, because even if there wasnt 2 CV theres still an Indianapolis with 10km radar, and you have no support. Situation 2: At this point the majority of your team are dead. The remaining members of your team are pretty much a guanteed location planes from both CV will go. Smoking up is fine, but you want to smoke before they spot you - otherwise thry just bomb your last position. Since you spot the planes at 10km you shouldnt need to wait until they actually spot you to realise they're going to fly over you. Situation 3: Basically now your team are dead. They probably will wait out the smoke at this point because theres not a huge amount to go for instead. We used to get our posteriors handed to us by the old CVs too; it's just that there were far fewer of them. Except the old CVs had counterplay in the form of fighters to deny permaspotting. Also rts planes didnt travel at warp-speed which left a window to disengage and reposition. The game being an epic loss has no bearing on the arguments put forth in this thread. Enemy dd having 3 kills do is impressive. I guess the friendly CVs were les seffective, but I didnt watch what transpired at the other cap. It is relevant when you complain about CV. It is ok to take a risk. But when you get punished, you should not complain about the consequences of your actions. 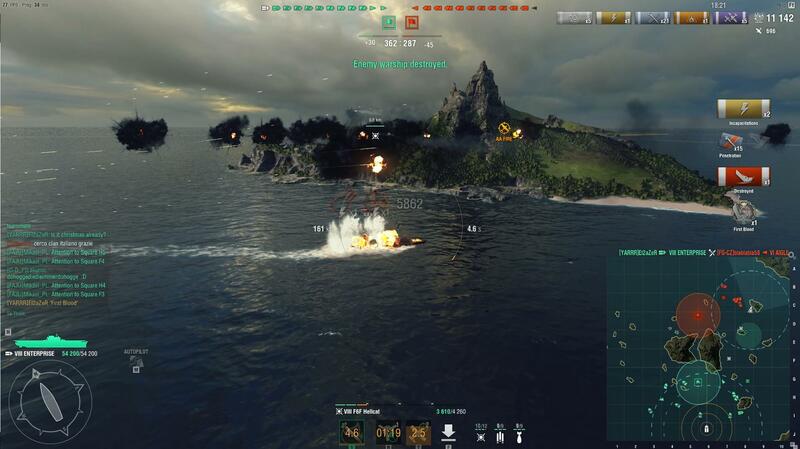 Or do you think BB should made weaker, because cruisers get punished for showing broadside? 1) I let him do 4 runs yes. Could've burned smoke, but he would only be back with DBs 30s later, and I'd rather eat the Rockets than having a dessert of DBs. Might add that I only went out on a limb because at minute 2, it was obvious the team would fold, and fast. 2+3 are good points, but imo only proves that DDs cannot perform their role in CV games, especially not the later parts where ships have been sunk. True, but you were reliant on allies to be competent, and we all know how often that happens (outside of a division). The second part is also true, although the CV could put more than one squadron up at once with RTS, which meant the distinction is rather moot after the first couple of minutes of the game (if the CV really wants you dead). In that case thank you for your crucial contribution to this tread. Now did you miss this bit or do you simply choose to ignore it? You brought it up. 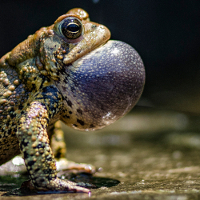 If it did not bother you, why post it? And if does not bother you, where is the problem with 3000 damage you got later? 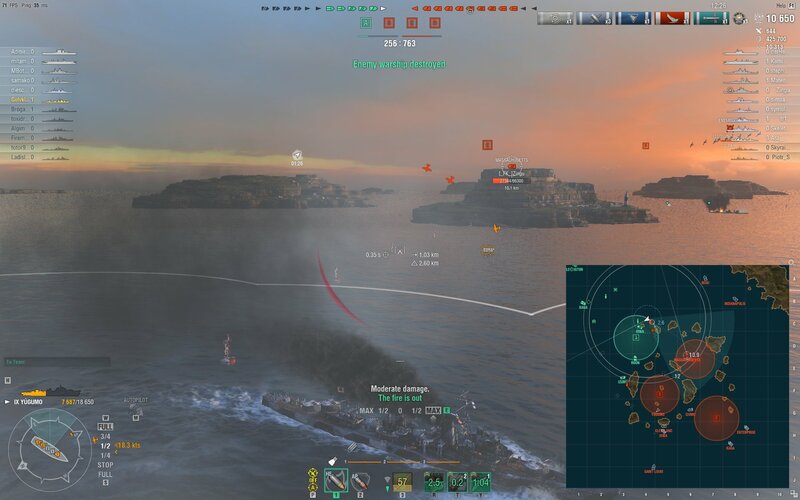 Not *all* DDs, I suggest - I actively like playing higher tier US DDs at the moment for example, because (against most players, anyway) they can hold their own in the teeth of opposing CVs - you just have to keep an eye on LOS to enemy ships. This, 100%. If I am in a CV and there is a 'wild'DD out there, I make sure I find and kill him before he kills me. If his team folds, even more urgency to kill him, as he can cap and turn the page. He should have gone support the team at the start, IMO. The kind of play he does is sort of 'selfish' - yes might score big, but also high risk you get deleted. I think you can be more specific; it's mostly just the IJN torp boat specialists who are seriously upset - to be fair, they have good reason to be too. I'm a DD main (although trying to fix that a bit recently), and sub-average, so I ought to be food for CVs most of the time; as far as I can tell though, the situation is fine, provided I don't play my IJN torp boats (and a few others with poor AA), and have the sense to build the DDs that I am playing (mainly US, PA, and KM, plus a dash of Russians) with at least a bit of an eye to AA. Main issue for me is the constant spotting. If CVs ignore you all is good and well, the moment they take interest in you all your stealth is gone. And two CV games make this even harder. So what you're basicly need to hope for is a CV that ignores you. If not, bad luck and have fun playing. True enough that having integral AA is better for the DDs. If a CV was competent, it could shoo an enemy spotter squadron away. As to IJN boats, they never appealed to me so I only got around to grind them now, but I killed enough with my CVs back then to agree they were quite helpless. However I maintain something as significantly changed for the AA DDs aswell. Back in RTS, some DDs were immune even to tier X CVs (Grozvoi i particular could shoot down all TB squads of both Midway and Haku without taking damage in return). This is no longer the case. The amount of damage and the consistency by which it can be applied bothers me, because some people argue that Rocket planes are useless. I brought the picture to show that rocket planes are not useless (unless you consider 8k dmg / 50% ship hp done in 30s to be useless). The 3k then further demonstrates that positioning does not matter, which is why your first reply is irrelevant. Does it not bother you that CVs can strike any ship with impunity at least 2 times despite overlapping AA from 2 other friendlies? Just FYI the friendly leningrad went to the other cap and got killed almost instantly. 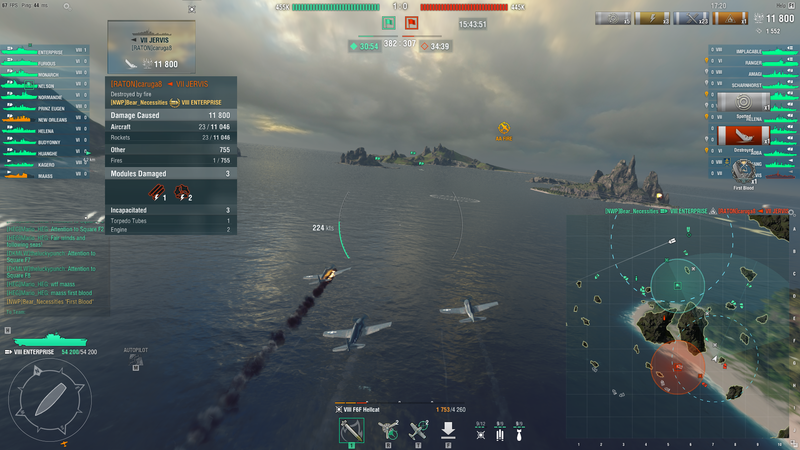 Meanwhile I couldnt enter the other cap because as you point out 1) i would be even more vulnerable and out of position 2) there was a CV vs CV fight with fighters over a red mutsuki going on there, so i would be spotted instantly. The way I see it, I spotted an entire flank that even the CV ignored and even got out, while there was nothing I could add on the other flank, and the game ended before i could make it back there. Gone to support the team is easy to say, but if you have to be specific - where, and when? My entire point is there was literally nothing a yugumo could contribute with in this 2x CV match. And that is what I was saying. When you are out of position, the damage by rocket planes is not suprising. With AA support he could not have done that many approaches. Usually only two, maybe even only one attack. And 3k for the rest of the match is nothing. 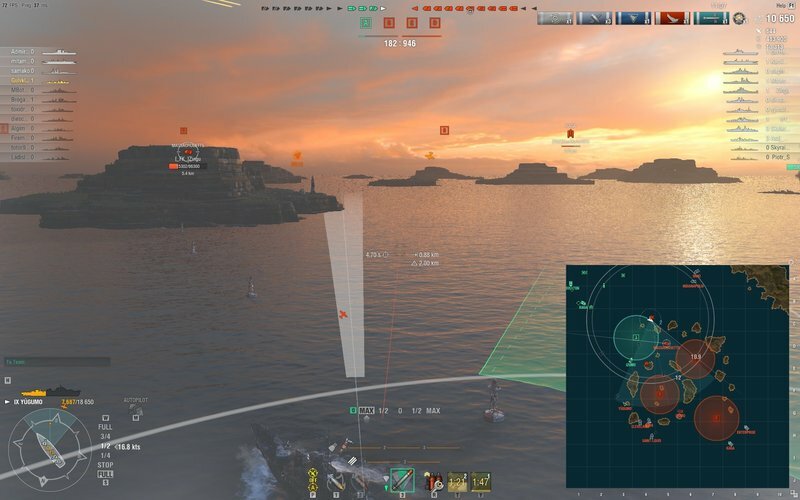 Even in games without any CV my DD usually lose more than 60% of their health. When I lose less, I consider myself lucky. Sure you depended on a friendly CV player. But at leas the option of counterplay WAS there. Also glad someone can see rocket plane dmg to DDs is on the high side. I'd argue adding some AA to dds as was done during the RTS era would help a lot. WG cannot balance CVS, the concept is flawed fundamentally. While on one hand I can do this in a CV, in the opening minutes, whilst it's trying to hug an AA cruiser for it's life. Yes, I think it's broken also, I'm a DD main myself, and I like to think a very good one. You also over extended way to far in a DD with none existent AA. You practically begged to be first priority. If I was the CV I would look at you and go "Food, easy food" and it would be in a large part your fault for putting yourself in that position. CV's are not going anywhere. I've said this across multiple threads multiple times. Whine whine whine will not get you anywhere fast. Learn the new meta. If every DD player actually did that and still the CV's massively pounded the ever loving out of them, then you give WG no chance to defend that position that it's working ok. In a DD you now have NO room for error in a CV game. It now requires full on attention and skill. Unlike a CV where you can eat mashed potato whilst dropping a DD for 7k with DB's. So, either learn and get to a level where you have the skill to at least survive, or try a new line. I can't make WG do anything. You can't make WG do anything. If you can't accept that, no matter how many forum threads get started, it won't be to any effect.